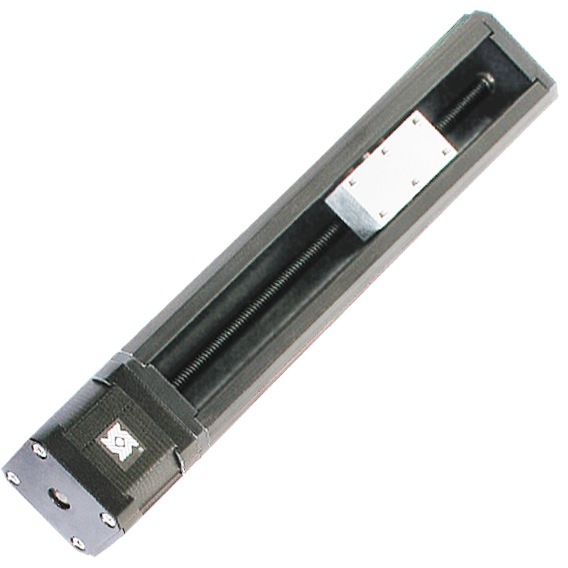 The Motorized LRS04 Linear Rail is available with a size 17 hybrid stepper motor developing forces up to 222 N (50 lbs). Size 17 stepper motors are also available with the integrated IDEA Drive. Rails can also be customized in stroke length, lead, screw coatings and nut style. Contact an Applications Engineer for any technical support needed. The LRS04 motorized rails are available with an integrated IDEA Drive when selecting the 43000 Series Size 17 bipolar motor.